"In addition to the entertainment of a well-crafted mystery, Warrior Hearts gives readers a glimpse of the American West filled with mystery, mayhem, and romance. Kresge's depictions of Indians and their interaction with white settlers and Army troops bring the past to life in remarkable detail. The story moves at a clip and even manages a bit of Shakespeare. A fun read from start to finish." 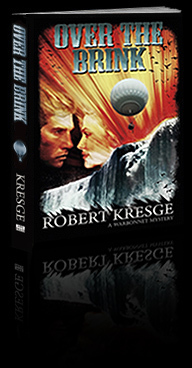 "Robert Kresge has done it again with Warrior Hearts, a novel that grabs you by the throat and won't let go. Hold onto your saddle horn as Kate Shaw and Monday Malone take you for a wild ride across the Wyoming plains of 1873. Kresge's meticulous research and descriptive prose firmly deposit readers in the Old West with a pair of atypical sleuths and a cast of memorable characters." "Warrior Hearts is an authentic take on the Old West that is true-to-life in language, mores, customs and dress. Kresge injects historical events and characters that will take readers back to a wild time in U.S. history." "Kresge's latest novel sets a charming school production of Romeo and Juliet against a plot that threatens to ignite an Indian war. Monday Malone has his hands full with Kate Shaw, the school teacher who yearns to be a detective. Kresge knows how to tell an enchanting tale of the Old West. Warrior Hearts is his best yet. 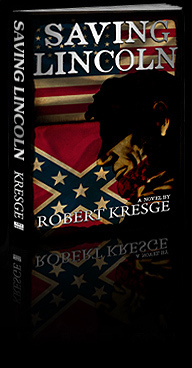 "History comes to fire-breathing life in Rob Kresge's sweeping Civil War novel Saving Lincoln. From theater stages to prisons, boarding houses to board rooms, soldiers and spies fight, plot, and fall in love in this suspenseful tale." "A tense saga of enemy spy masters, their women, friends, and family during the Civil War. A diabolical plot is revealed at the very start, but Kresge maintains suspense by weaving a story that includes many twists and turns and a surprise ending." "Saving Lincoln is a rare treat of a Civil War 'what if' novel that is rigorously researched with an entirely plausible Confederate plot for a desparate and dramatic stroke against Abraham Lincoln himself. Its primary antagonists, both North and South are well-matched, cunning adversaries who engage in a constantly escalating game of move and countermove in an ever-tightening circle of suspense and intrigue, culminating with a true nail-biting finish." "Saving Lincoln has an interesting plot, good development of the central characters, and a crisp storyline with unexpected twists!" "Murder for Greenhorns was a finalist for the 2011 Bruce Alexander Award for Best Historical Mystery and the captivating sequel (Painted Women) is equally good. 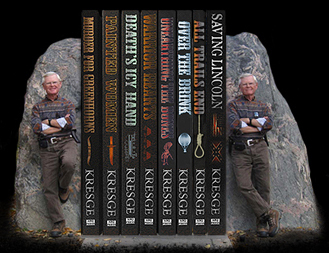 Kresge succeeds in incorporating deduction into the Wild West, and this series will be enjoyed by fans of Steve Hockensmith's Holmes on the Range and William de Andrea's Lobo Black/Quinn Booker series." "Painted Women, Kresge's picturesque yarn, is entertaining and presents the reader with a fine whodunit to solve. Though Kate Shaw might seem like the typical smarty-pants schoolmarm, fear not. She's no sterotype. This is an enjoyable story with lively characters, a quick pace, and plot twists which keep readers guessing as Monday and Kate pursue the cold-blooded murderer who will do anything to cover his tracks." "The series achieves new heights in Death's Icy Hand, where Kresge puts the capital H in historical by centering the story around the visit of Russian Grand Duke Alexis, whose entourage includes Buffalo Bill and George Custer. His writing is both strong and subtle, deftly handling the veiled romance between Monday and Kate against the backdrop of the majestic sweep of the American West. A winning series!" When a Russian Grand Duke visits the American west in 1872, his journey takes him and his entourage--his beautiful mistress and her complicit husband, a British maid servant, treacherous Russians, Buffalo Bill Cody and Colonel George Custer--on a Wyoming train trip accompanied by Warbonnet's Marshall Monday Malone and Kate Shaw, schoolteacher and Wyoming's (and America's) first female deputy sheriff. Echoes of the Orient Express, gone West! 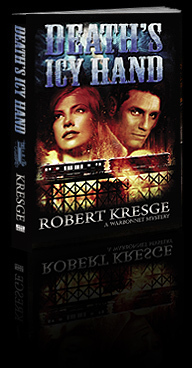 Fast-paced lessons of history the way it's best-told, filled with action and romance, Death's Icy Hand is the third mystery in Robert Kresge's Warbonnet series. It traps the appealing Malone and Shaw along with licentious royalty and iconic Americans we thought we knew--the womanizing Custer and poker-sharp Bill Cody--isolated in a snowbound train with a clever killer who threatens them all. The centerpiece is a locked sleeping car where the principal suspect is found beside one murder victim's corpse. A locked room puzzle! But, in this collection of sophisticated travelers, who will trust the solution sought by an uneducated marshal and a mere woman? Good out of the gate, Kresge's splendid series gets even better book by book. Best of the three Warbonnet series. Continued character development as the two lead characters, Kate and Monday, mature before the reader. Good supporting cast of characters leads to a real "who dun it?". (Kresge) likes weaving real characters (such as) Custer and Cody into the tale. Keep up the good work Robert. Can't wait for the next installment of the Warbonnet series. A murderer lurks on a Russian Grand Duke's train as he travels across America. Investigators Monday Malone and Kate Shaw try to catch the killer in this pulse-pounding adventure. 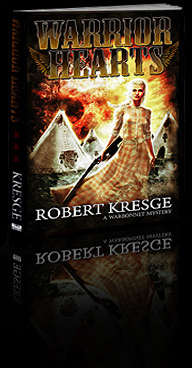 Robert Kresge shows a flair for research and description in his gripping Warbonnet mysteries. Readers will want all these stories! The second installment in his “Warbonnet Mystery” series, set in Warbonnet, Wyoming in 1871, this tale follows the adventures of Kate Shaw and Monday Malone. Settled into his new job as sheriff of Warbonnet, Monday and Kate continue their two-step relationship where neither is sure where they stand with the other. When Monday’s brother is arrested for the murder of a soiled dove, Monday steps in to save the man who basically cheated him out of his rightful inheritance, and we learn more about the circumstances of Mary Ellen’s relationship with Monday and her death. Kate ventures out on an expedition to Yellowstone and experiences freedoms—and expectations—she’d only dreamt of, even to the point of considering leaving Wyoming and moving to New York City as an artist’s model—and more. The ending was satisfying and promises more to come. Highly recommended. "Monday Malone is the sole lawman in the frontier town of Warbonnet, Wyoming Territory. When his brother is framed for the murder of one of Laramie’s “soiled doves,” Malone turns to Kate Shaw, the brainy Warbonnet schoolteacher, for help in tracking down the real killer. After all, she had already helped Monday solve one murder. 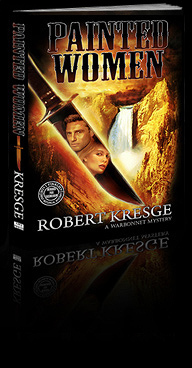 Robert Kresge, a former CIA senior intelligence analyst, is also the author of Painted Women. This Western murder mystery is the sequel to his Murder for Greenhorns, which featured the team of Malone and Shaw. I haven’t read Greenhorns, but it wasn’t needed before reading Painted Women. Kresge’s picturesque yarn is entertaining and presents the reader with a fine whodunit to solve. Formerly a Texas cowhand, Monday is now a fine sheriff, tough enough to survive a stampede and clever enough to single-handedly capture two criminals in the backwoods. He’s a little sweet on Kate but is also a gentleman who can handle Laramie’s painted ladies and fend off a rancher’s forward daughter. Though Kate might seem like the typical smarty-pants schoolmarm, fear not. She’s no stereotype. The engaging Ms. Shaw fibs her way onto the Hayden expedition’s 1871 survey of Yellowstone as one of the artists recording those natural wonders for the rest of the world to see. She sketches alongside Thomas Moran, and toys with posing for another of the painters in a canyonside tableau – au naturel. Painted Women is an enjoyable story with lively characters, a quick pace, and plot twists which keep readers guessing as Monday and Kate pursue the cold-blooded murderer who will do anything to cover his tracks." 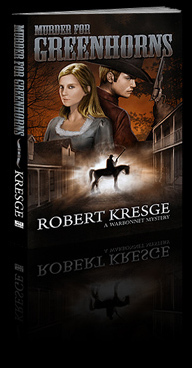 "Robert Kresge's MURDER FOR GREENHORNS changed my mind about historical mysteries. I was never opposed to them on principle. But I never found one I liked and eventually stopped trying. I read Kresge's first book only because so many friends in New Mexico recommended it. After reading the sequel, Painted Women, I realize I like Kresge's works because he actually gets the historical part. Most historicals seem to be about modern characters caught in a time warp. You know they are historicals because, for instance, Wellington is at Waterloo, but the soldier protagonist is just a soldier. Change his uniform and speech and he would work just as well as a member of Caesar's Legions or the French Foreign Legion. Kresge's Monday Malone could exist only in the American West of the late 19th Century. Monday embodies the ethos of that time and place. It is not merely the details of his everyday existence - horse, saddle, gun, food, speech, etc. Kresge is a painstaking researcher and all those details are spot on. But the genius of Kresge's writing is how Malone's actions and statements define his character. Neither Malone nor the narrator tell you what he is like. It is the classic approach of writing 101 - Show, don't tell. Kate Shaw is equally well-drawn and the perfect foil for Monday Malone. She embodies the distaff side of the ethos of the period, but unlike Malone, she is not a child of the Wild West. She was raised in a genteel New England family and came west to teach and - like Malone - to escape bad memories. Kresge has deftly told us just enough of their backstories in each book to explain their present situation and to keep us intrigued and waiting for more. Kate is educated and refined. Malone is rough around the edges and can't spell words with more than one syllable, but his rustic chivalry is charming. They are in love, of course, though neither would admit it, and Malone may not even know it. And at any rate, they are in no position to make permanent plans. Kate is torn between staying out west and returning back east. Malone never intended to become a lawman. We don't know what their futures hold, but we do know they will handle it well. Despite their differences, they are both intrepid. You read through the story in a single setting because you care about what happens to Monday Malone and Kate Shaw. Indeed, all the characters are endearing. In Painted Women, Monday's brother (only by adoption as Monday was taken in by the family) who swindled him out of his inheritance is in jail in Laramie accused of murdering a "painted woman" or "soiled dove" at the local brothel. Monday is not surprised that Tom seems headed to a bad end, and his initial response is to let the law take its course. But Kate, as always, urges him to search his conscience. Monday goes to see Tom who admits he was so drunk that he doesn't know if he murdered the woman or not. Monday's investigation leads him to believe Tom is innocent. Finding the truth proves tricky as does wrestling with demons from his past. Painted Women has something for everyone - humor (a case of switched ladies frillies is classically funny), adventure in Yellowstone, and Albert Bierstadt and Thomas Moran. Kate thinks of becoming a Painted Women in the sense of an artist's model, not a saloon girl. There are bad guys you love to hate, innocence, love, courage, and more atmospherics than an Annie Oakley traveling show. Malone has matured in this story, but he is not yet the man he is destined to be. I hope there are many forthcoming volumes to be enjoyed." "Rob Kresge has created the most entertaining crime-solving Westerners to come down the trail in quite a spell. It's a wonder the West could stay Wild with a pair like Monday Malone and Kate Shaw on the job!" 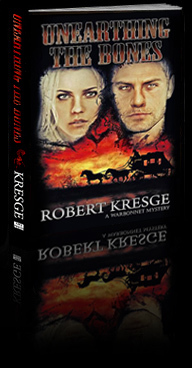 "Kresge nails the feel of the Old West with Painted Women’s fast-paced storyline and strong characters. An author to watch." “Spunky Kate Shaw and noble Monday Malone are back on the track of the bad guys in Rob Kresge’s riveting Painted Women. Nobody has a better feel for murder and mayhem in the Old West than this master of high country crime! "Set in Warbonnet, Wyoming in 1870, we meet Kate Shaw, the town’s new schoolteacher, and Monday Malone, now posing as Sheriff Taggert, joining forces to find the sheriff’s killer. The story is rich in historical details which illustrate Kresge’s knowledge of the time and place, and the characters are well-drawn and complex. As with most romances, Kate and Monday have conflicting goals, and other potential beaus come into the mix. However, by the end of this first installment in the series, there is at least a promise of Kate and Monday someday getting together as a couple, the killer has been identified and dealt with, and they are making a pact to never get into this situation again. However, as it is the first in the series, we know they won’t be able to stay out of the next mystery that comes long. Looking forward to reading the next installment. Highly recommended." Robert Kresge's MURDER FOR GREENHORNS is a great read. So great, in fact, that it did something I didn't think any book could do - change my mind about an entire genre. I've gone from just liking historicals to being a big fan. Even though I love Robert Parker's Spenser, Sunny Randall, and Jesse Stone series, I could never warm to his westerns. Now I know why. Virgil Cole and Everett Hitch seem like characters from a Spenser novel victimized by time travel. Parker was too good a writer to make an obvious mistake like having them use contemporary slang or use a gadget not yet invented at that time, but there is something about their demeanor that blocked the disbelief I am usually able to suspend. And I didn't realize this until I read MURDER FOR GREENHORNS. His work made me realize that an authentic historical can be a great read. And when it comes to the old west, Kresge does it better than Parker. MURDER FOR GREENHORNS transported me to the summer of 1870 in Warbonnet, Wyoming, where the people I met were just what I expected. Kresge did all the research required to get the horses, six-shooters, food, dress, wagons, miners, buildings, soldiers, music, dances, and every other detail of life in that era correct. More importantly, he captures the ethos of the people and the time, and that is the charm of the book. All his characters are well-drawn, even the youngsters, something many authors struggle with. Monday Malone is a cowboy headed to Montana looking for work. Kate Shaw is the beautiful young woman from back East traveling to Warbonnet to be the town's first teacher. Sam Taggart is a lawman who will be the little town's first marshal. Taggart is to accompany Miss Shaw on the ride from Laramie. Malone tags along, in part because it's handy to have a second gun in the unsettled area they will traverse, in part because it `s less seemly for a woman to travel alone with one male companion, but mainly because he is smitten with her. It is not a plot spoiler to say that romance eventually blooms. You know this from the start, and seeing the twists and turns along the way is part of what makes the reading so much fun. About halfway to Warbonnet, Sam Taggart is gunned down by an unseen assailant using a long-range rifle. Because of the distance of the shooter, neither Malone nor Shaw gets a good look at the shooter. But Malone finds the spot from which he fired. There he finds clues in the form of a spent cartridge, hairs from the horse caught on the bushes and fresh horse manure that shows oats rather than grass. Shaw thinks the likely explanation for the shooting is that someone in Warbonnet didn't want the law in town. She wants to find out who, especially since she will be living there. She convinces Malone to pretend to be Taggart so that he can serve as marshal long enough to help her solve the crime. They take Taggart's body to Warbonnet where he is buried as Malone. Keeping up the identity switch proves difficulty, and the investigation proves to be even more so. The plot is just complex enough to make the mystery a fun puzzle, but not so convoluted that you get lost. I started by saying that this book changed my mind about historicals. But it is also almost a cozy in its own way. Malone is not only pure of heart; he is also a bit of a bungler, especially around attractive women. The characters in this book are so good that I hope there is a sequel. Soon. If you want an excellent mystery woven into a feel-good story, you cannot do better than MURDER FOR GREENHORNS.